Eidos just released a new trailer for Just Cause 2, which blends cinematic action with some impressive gameplay. This game's packing some attitude, dammit. It doesn't really care that opening a parachute 10 feet from the ground probably wouldn't work in real life. 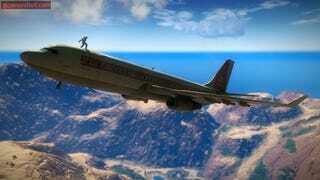 It does in real Just Cause 2. Now excuse me while I step off this building, I have a car to catch. Huh-huh, get it?